In this show I talk about something most home owners don’t think about or talk about — water damage. I also talk about buying my first Apple product: a 20�? iMac, and why I canceled my iPod Touch order. 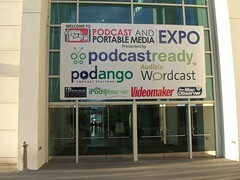 As always I update you with technical news and tips and play some great podsafe music. Try GoToMeeting for 45 days! Visit www.GoToMeeting.com/podcast to start your free trial today. House Water Damage — are you prepared? Walkable Score — How walkable is your house? GoDaddy promotion: You can save 10% on web hosting services by entering promo code pod24 and an additional 10% on other orders using promo code blu24.